Lifting straps will work wonders if you are looking for a quick and easy boost in gym performance. These small and inexpensive pieces of gym equipment will offer a ton of benefits for the money. But pick the wrong ones and you will actually hurt both your wrist and your workouts. We’ve put together a list of the most important things you need to look for before buying your next pair of lifting straps. 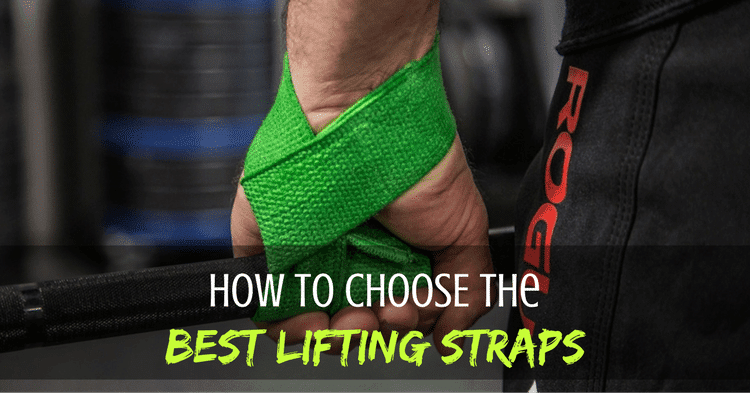 We’ve also looked at the top 5 best lifting straps you can buy in 2019 and you can find it all down below. What’s the Difference Between Lifting Straps and Wrist Wraps? Lifting straps will help you lift heavier when your grip weakens. So in any situations when your grip is holding you back because it is not strong enough, these little things come into help. Deadlifting is the perfect example. 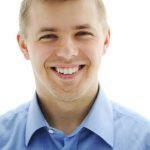 When you deadlift you are using a lot of muscles like your back, your hamstrings, and even your arms a bit. So because you are using a lot of muscles, you should be able to lift really heavy. Too heavy that your grip can’t keep up with all the weight. So your grip will actually give up before your muscles, therefore you will have a less effective workout simply because you can’t hold onto that bar. If you’re relatively new to fitness, you might get a little bit confused about what’s the difference between lifting straps and wrist wraps. 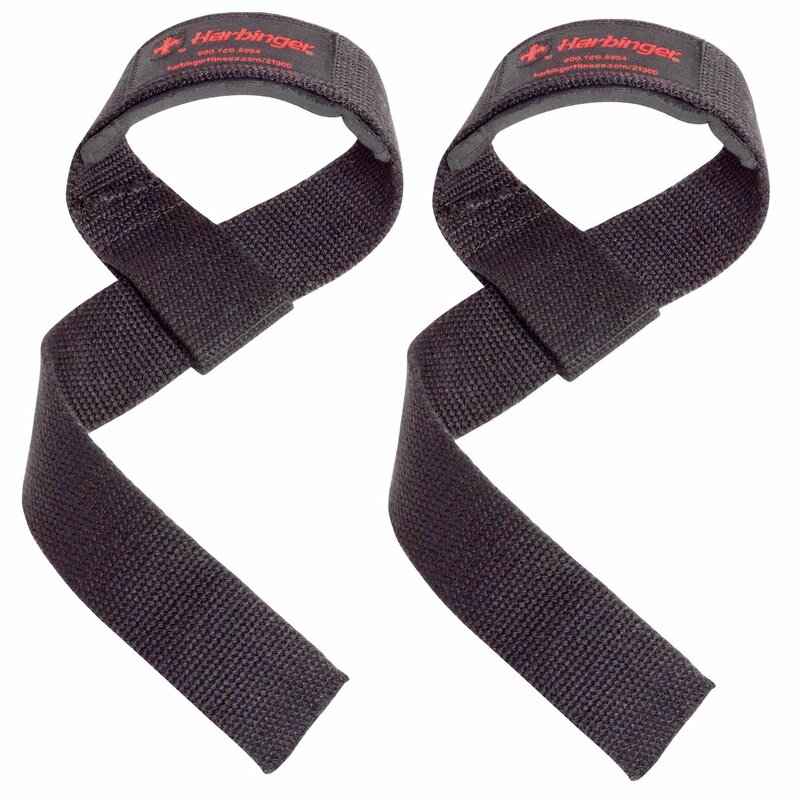 In short, lifting straps will help you when you have a poor grip or poor forearm muscles. And wrist wraps will help you in wrist support. So when your wrist starts hurting what’s when you use wrist wraps. To make things, even more, easier to understand, think of it this way. You use lifting straps on your pulling movements. Such as lat pull downs or deadlifts, or rows. And you use wrist wraps on your pushing movements. Such as bench press or overhead shoulder press. These little accessories are not expensive at all. They will probably last a while and the benefits are so much greater than the cost. So you definitely want to look at adding these to your workouts at some point. 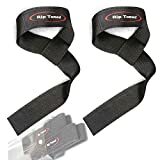 Now there are a bunch of different kinds of lifting straps – different kind of materials, with Velcro or with a loop, some are shorter, some are longer – but the most important aspect of any lifting strap is the padding. Not all of them will have good padding, so look out for those. If you go really heavy with the weight and that strap starts digging into your wrist you will see how painful that can be. You will actually walk around with marks on your wrists. With padding, it makes the whole situation that much better. You might be able to do even a couple more reps just because of the padding. Another thing you want to look at is to make sure that they are threaded properly and that there’s plenty of stitching in there to help you lift the bar. This will actually depend on how thick or thin your wrists are too. 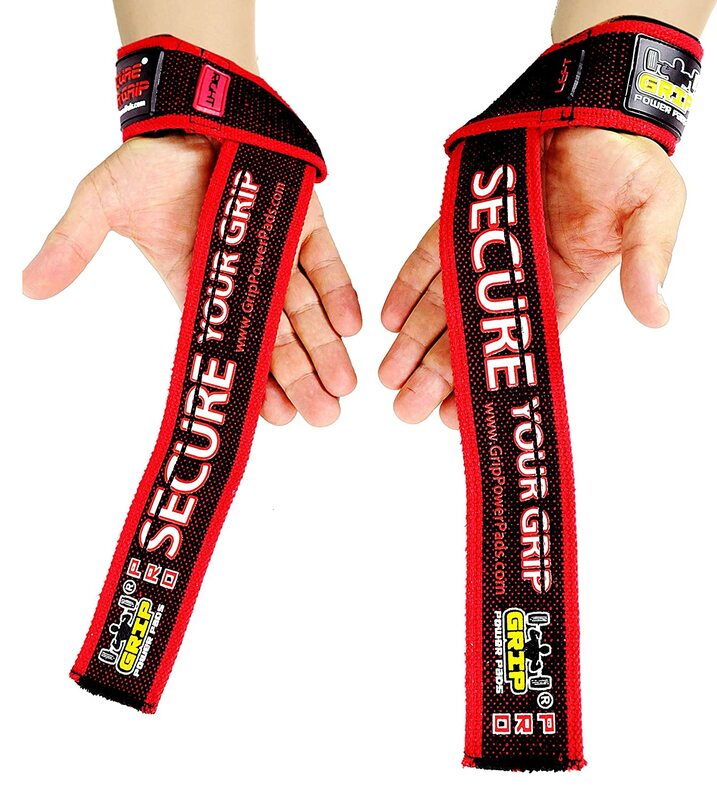 But generally speaking, you want to get wrist straps that are at least 21-22 inches long. If you are a guy or gal with bigger wrists, maybe get some that are 24 inches. Anything more than that will be just too big. There is no point at wrapping it around the bar more than 2-3 times. It’s just annoying to keep doing that every set, it will take time and it will not offer more support. Lastly but not least you want to look at the way your wrist straps will actually feel on your skin. Many straps have hard or poorly made edges which will dig into your skin if when you use heavy weight. That will negatively affect your performance, you will get in fewer reps and therefore you will have a less effective workout. Alright, now let’s review the top 5 best lifting straps of 2019. If you are getting ready for a big squat or a big bench, the Rip Toned lifting straps will offer plenty of support. These are neoprene padded and will sit quite comfortable but also securely on your arms. Regardless of how thick or thin your wrists are. You don’t need to worry about picking the right size because these are one size fit all. The fabric looks pretty rough but the sides are nicely finished so that there is very little discomfort no matter how tight you crank it on. There’s also a quite thick padding on the inside which makes them extra comfy even though the inside material feels pretty rough. Both left and right straps are identical, so actually, there is no left or right. Both have the loop on the same side which is awkward. The Pop Toned straps are also quite long so it will take you a bit more time to put them on and take off, so that would be one downside. They could’ve made them just a bit shorter without sacrificing the support they offer. I guess that’s the downside of one size fits all. These are probably one of the most compact lifting straps you can find online. There is some kind of padding (not too thick though) which makes them relatively comfy. But if you really want to step up your weightlifting game you may want to consider some lifting straps with better padding. The vendor advertises them as having a 5 mm padding, but it feels more like 3 mm. Nevertheless, they work great up to a certain point. If you are just starting out it might be a good option. The finish on the sides could be a little bit better. There is some rubbing against the skin especially if you have thicker wrists. Other than that they work really good. They are long enough (21-22 inches) to go around the bar 3 times which is more than enough. The design is super minimalistic – just black with white logos. 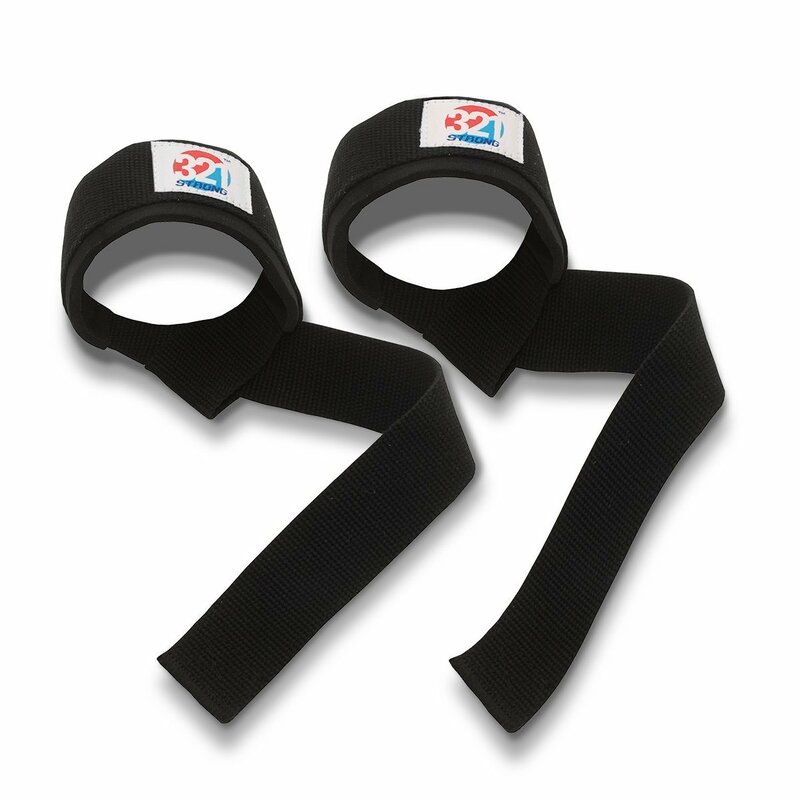 If you are looking for a more expensive option, the Grip Power lifting straps are worth a try. These are not your average straps as they feature both neoprene wrist pad support and a silicone grip enhancement. The Grip Power Pads are targeted more towards powerlifters or advanced weight lifters, so if you are just starting out you will probably not benefit that much form all the added support and padding. It’s just too much for the average gym goes. They are a bit bulky too. They are 24 inches long and around 2 inches wide. Whilst most lifting straps on the market are more like 1.5 inches wide and just over 20 inches long. So if you don’t need all that support you will be better off with smaller, more compact lifting straps. Otherwise, you will just waste time on wrapping them around your wrist and the bar as you put them on and take them off. Other than that they are comfortable on the wrists, we have to give them that. The design really makes them stand out – there’s a lot of branding and a rich texture. As opposed to what the name suggests, there really isn’t anything premium about these lifting straps. Not that they are bad either but the foam padding used feels pretty thin and doesn’t really offers that much protection if you lift relatively heavy. The padded portion is 8 inches long, however, which should be enough to wrap it around hand twice so that you have better support. One cool thing we really liked about these lifting straps is that they are super compact. On top of that they even come with a vinyl carrying bag which is very convenient, so you will not lose them in your gym bag. Users with smaller wrist reported that they can’t get them tight enough. So if that’s you make try out the Rip Toned ones which fit smaller users better. The aspect in design is pretty good, however, the texture is not the best as it has the tendency to slip a little bit. All in all, if you are not lifting supper heavy they should get the job done. The last item on our best lifting straps, the Harbingers are pretty standard. They came with a little bit of padding which runs for about 4 inches. Just enough to cover the front side of the wrists. When you first try them on they will fill quite stiff but they broke in after a couple of workouts. They are 21 and a half inches long so there’s plenty of threaded, stitched cotton & nylon in there to wrap around the bar a few times. Even so, if you are a larger user you might want to consider longer straps such as the Grip Power cotton lifting straps. We would’ve liked the padding to be a little bit thicker and offer more comfort and the sides to have a smoother finish. Even if you don’t lift that heavy you will find these straps to dig a bit into your skin. So that’s definitely a big minus of the Harbingers. These come in two different colors and we got to give it to them – the pink/magenta looks absolutely phenomenal and it will definitely make you stand out in the gym. 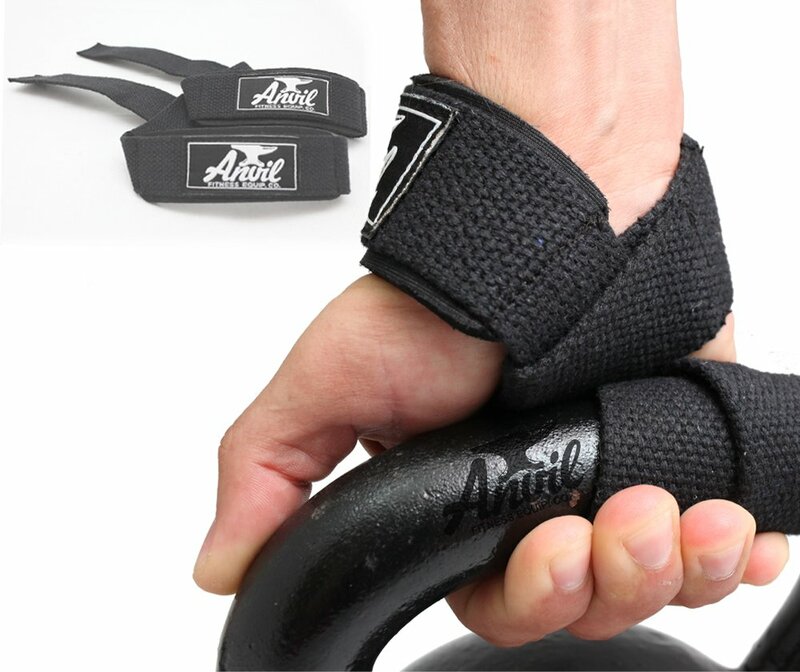 To wrap it up, if you’ve never used lifting straps before and you don’t lift really, really heavy we recommend picking up the Anvil Fitness weightlifting straps. They will offer enough support, they are super compact and they also look pretty slick. If you’re more advanced and you like to push your limits in the gym, we recommend the Grip Power pads cotton lifting straps. The extra silicone padding makes them so much more comfortable than your average straps. They are a bit more expensive as well, but well worth the cost.